offers the closest experience to stepping back inside the bakery and basking in the aromatic glory for which thousands still long. Savor the schnecken in this tribute to the Thie family’s iconic Cincinnati bakery, which served the community from 1927 to 2005. Reminisce in vignettes collected from newspapers and trade magazines, firsthand experience and customer memories. Rounding out this fullflavored history are nearly eighty recipes adapted to re-create the bakery’s famously adored baked goods in the home kitchen—replete with tips from co-author and Virginia Bakery owner Tom Thie. Go ahead and let your mouth water. Thanks to all of you the book is now in its fifth printing. We are truly delighted and thankful. ‘Virginia Bakery Remembered’ is a very inspiring story of family, character, hard work and sacrifice….all the ingredients that made our country great. Also, the book gives an insight into what a local family owned neighborhood bakery is all about along with ‘the greatest’ family bakery recipes there are. A wonderful read. An excellent book about one of the historical bakeries in the Cincinnati area. The recipes you’ll want to try and the history will leave you amazed. When Cynthia Beischel was growing up in Clifton, her family had a standing order at Virginia Bakery, and she made sure she got to go with her mother to pick it up. The bakery smelled so good, the ladies at the counter were always friendly, they usually gave her a cookie – and the baked goods were special. Those became nostalgic memories for her after the Ludlow Avenue bakery closed for good in 2005. Turns out, Beischel was nowhere near alone in her emotional connection to the bakery. 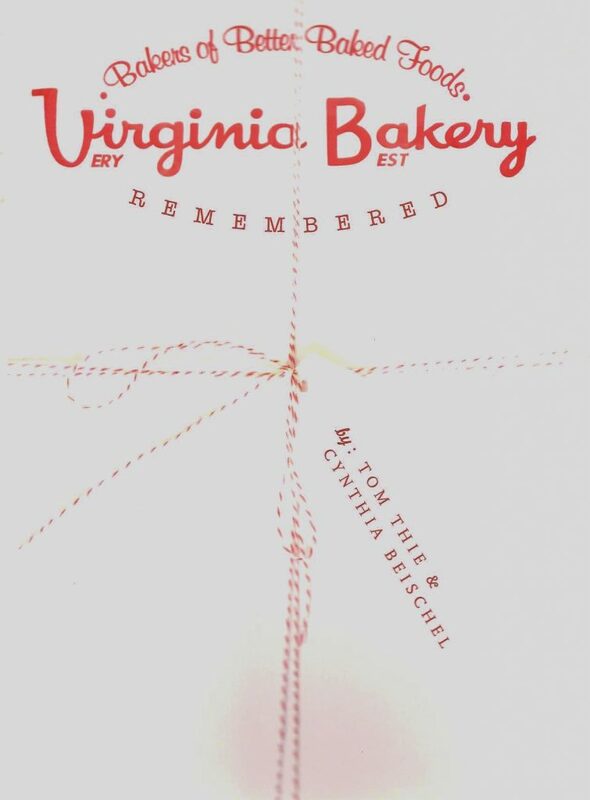 When she began to work on writing a book about it, “Virginia Bakery Remembered” (The History Press, $24.99) she asked people to send her their memories. 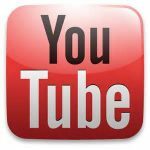 They did: about how they had a standing order, how good the bakery smelled, the friendly ladies at the counter and more. Beischel wrote the book to capture the history of a Cincinnati institution, a bakery that was run by four generations of the Thie family, starting with Wilhelm Frederick Thie, who immigrated from Rahden, Germany, in 1890. She wrote the book with Tom Thie, the last of the family to run the bakery. But the book’s value is immensely improved by his decision to include recipes for many of the Virginia Bakery favorites: butterscotch gems, cinnamon crumb coffee cake, cheese pockets, butter bits, bran muffins – almost all of the customer favorites, downsized for home baking. Mouthwatering reveries will be inspired by Virginia Bakery Remembered, a 240-page paperback recently published by the History Press. This tribute to the Thie family’s iconic Ludlow Avenue shop, which created generations of schnecken addicts from 1927 to 2005, is studded with vignettes collected by co- author Cynthia Kuhn Beischel from newspapers and trade magazines, firsthand experiences and customer reminiscences. Rounding out this full-flavored history are nearly 80 recipes adapted to the home kitchen, with tips from co-author and Virginia Bakery owner Tom Thie. The book will be available at the book signing at the Clifton Cultural Arts Center on Thursday Dec. 9 from 7 to 9 p.m., as well as at local bookstores and on Amazon.com for $24.99. My sister bought this for me for Christmas and it’s a wonderful book. Being from Cincinnati, I love the history part of it, but the recipes (the ones I’ve tried so far) are amazing. I made the cinnamon crumb coffee cake and my family can’t stop eating it. My father-in-law said it reminded him of coffee cake from a St Louis bakery that he loved as a child. I think anyone who misses the small neighborhood bakeries will enjoy this book. This item was purchased as gifts for my sisters as a reminder of part of our family heritage. My father’s family was from Cincinnati and this bakery has been a favorite of his family for MANY years and the “schnecken” is a personal favorite of our Aunt Ruth Ann. It is a wonderful pastry but loaded with calories and butter but oh so good –you can’t just eat much at one time. Read the recipe then imagine eating it warmed with extra butter and a cup “real” homemade hot chocolate with baking chocolate which “is the only way to serve it”-UGH! This cookbook has been well written-coming from the heart and soul of the writer, and includes many stories of the staff and family members who have brought this bakery into so many lives. It also gives credit to the many people who have made it a success. Very well done! It is wonderful to read. I will try a few recipes as I also love to bake and try new things-another trait I inherited from my mother and aunt. My friends and co-workers love it when I bring “treats” to them. This is a great book, full of the history of the Virginia Bakery, and recipes for all the things you loved to get there. Schnecken, Butterscotch Gems, Bread Ends, it’s all here. A word of warning, though: I don’t recommend diving into the bread recipes here (including Schnecken), unless you’ve got a bit of experience baking bread. My son told me this book was finally available and I immediately purchased two. One for myself and one for a dear friend who loved the schnecken from Virginia bakery. I had never had the schnecken, but decided that I might make a batch. When I saw the easy recipe for the schnecken I decided to try it – big mistake, I can not get enough of the schnecken and it has caused my New Year’s resolution to be a figment of my imagination – losing weight with this cookbook is not going to happen! The yellow dough recipe makes enough for nine schnecken or nine coffee cakes. This is wonderful as you are able to share the love…. Since receiving the book in the mail, I have been in bakery heaven. Finally I am able to make coffee cakes, schnecken and pastries whenever I want. Great book – 5 stars is not enough! Love the book. Have not had time to utilize it but it will be great to have the bran muffins again!